Darien meat aficionados now have a new meat locker filled with carefully sourced prime and dry aged meats to expand their palates and satisfy their quest for the perfect cut of beef and gourmet accompaniments. The purveyor of these prime cuts is Darien native, Peter Crawford, whose passion for great tasting meats and the culinary experience is rooted in his Darien childhood and time spent in his grandmother’s kitchen that continued to simmer with his experiences at renowned restaurants, in culinary school, as a private chef to the stars, and under the tutelage of some of New York’s finest chefs. The all-day free, fun, family event will feature hourly door prizes, giveaways, and a continuous flow of tastings of the store’s favorite hors d’oeuvres and recipes. Children can pick up a coloring contest entry form with the chance to win valuable prizes. Visitors will enjoy Grand Opening specials on tasty prime NY Strip and find cases filled with some of the shop’s other custom crafted items like house-made sausages and gourmet burgers to take home for an awesome cookout. 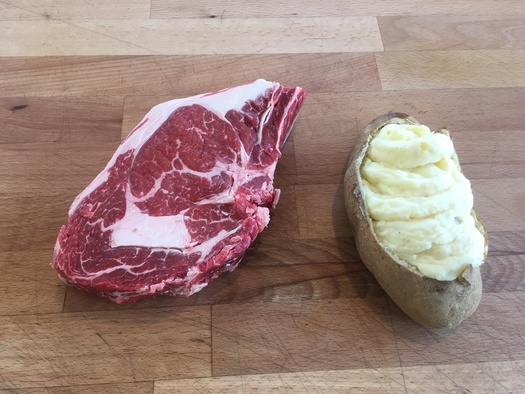 With “Great taste” being the primary driver in Peter’s sourcing of products for the Darien Butcher Shop, his meat locker is filled with a wide selection of prime beef that is ethically raised on a vegetarian diet that is hormone and antibiotic free. Some of the featured suppliers proudly displayed on the store’s blackboard include Rosenkrans Farm grass fed beef from Lake Cayuga, NY, the freshest breed cage-free chicken and eggs from GourmAvian in Bolton, CT, free to roam, ethically raised Berkshire pork, Seppe Farms Sandy Hook, CT local lamb raised on non-GMO feed, Benton Country Hams 48 hour smoked thick bacon from Madisonville, TN, and Nature’s Choice Bacon that is naturally-cured, nitrate free bacon using Tamworth hogs raised non-GMO. 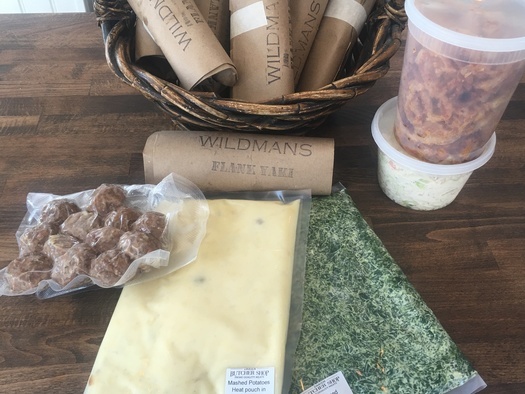 Also catering to the Darien lunch crowd, including the delivery of corporate lunches, the Darien Butcher Shop offers a meat-lover’s selection of signature sandwiches with a similar emphasis on great taste. The shop is proud to include its perfectly pink house-baked roast beef among the selections served on locally sourced breads from Wave Hill Breads. Specially selected farm fresh vegetables, tarragon mayonnaise, house made Russian slaw, Dusseldorf mustard and other palate pleasing additions round out their lunch offerings. Create your own sandwich or select from popular American, Italian, French Beef, Caprese, Curry Chicken or Pastrami. Lunch orders can be called in early to save time on your busy lunch hour to savor and enjoy without the wait. Other items included in the Darien Butcher Shop cases include their popular twice-baked potatoes, OMG crispy onion rings, perfect pickles, creamed spinach, mashed potatoes, dill potato salad, scotch eggs, oysters Rockefeller, meatballs, meatloaf and other house made sides to complete any meal. All this in addition to prime cut Tomahawk Steaks, Bone in Rib Eyes, Bone in NY Strip, Rib Eye, NY Strip, Tri-Tip, Hanger Steak, Flank Steak, Skirt Steak, Brisket, Veal Chop, Pork Loin, Regular and Korean Style Short Ribs. 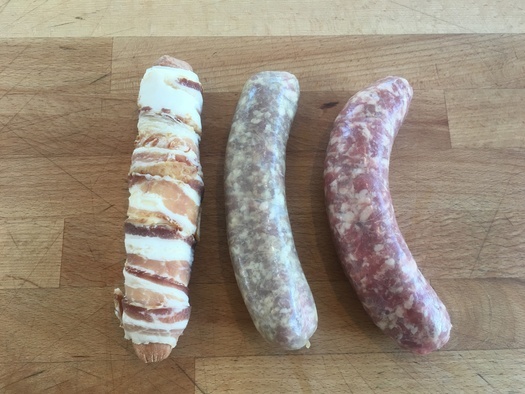 Some of the shop’s famous house made sausages include Bratwurst, Hot/Sweet Italian, Cheddar-Jalapeno, Boere-Wors and Maple-Sage Breakfast. 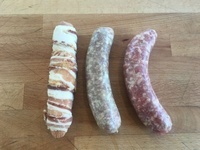 All sausages are made with no fillers or gluten! Included in the future plans for the Darien Butcher Shop, Peter intends to offer a variety of public and private classes and events like introduction to butchering, sausage-making, understanding cuts of beef, meats for the man cave, gourmet crafted burgers, girls who grill nights out, and more. Likewise, Peter sees his shop as a prime holiday and special occasion destination for great tasting gifts that are always appreciated and never returned. Peter will help you build your own custom-filled meat baskets for all occasions (birthday, new job, anniversary dinner, sympathy expressions, congratulations, etc.) What dad would not like to receive a box of six prime filet mignons or a monster Tomahawk Steak or juicy Bone in Rib eye! 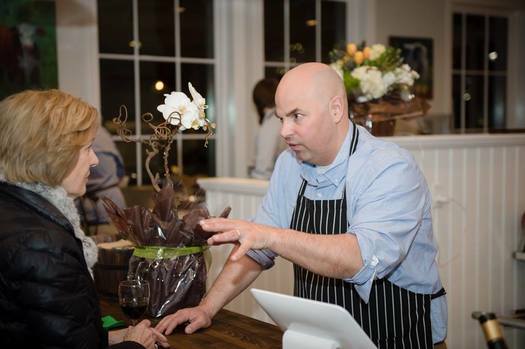 For savvy, investment-oriented communities like Darien and neighbors New Canaan, Rowayton, Stamford and Norwalk the Darien Butcher Shop promises that prime beef futures will be on the rise in town as they build their business one customer at a time and inspire people to eat better meat. With an ear to the business and desire to treat every customer like family, Peter hopes every purchase from his store feels like a dividend from your own meat locker and tastes like the best you’ve ever imagined. 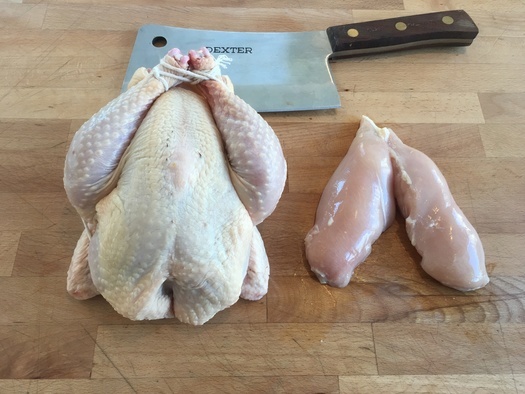 The Darien Butcher Shop is now open Monday-Thursday and Saturday 9-7, Friday open late 9-8, and Sunday 10-5. You can follow Darien Butcher Shop on Facebook and Instagram @darien_butcher_shop For more information about the Darien Butcher Shop visit www.darienbutchershop.com or call 203-202-9664.